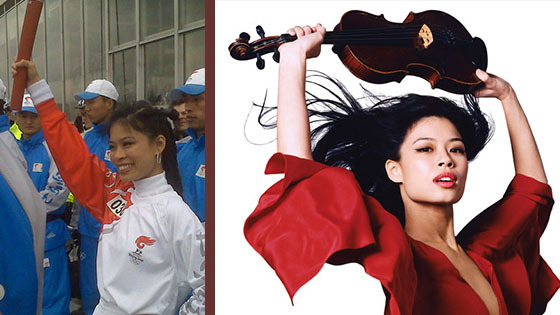 February 24, 2016, 1:17 PM · British pop violinist Vanessa Mae has won a defamation lawsuit against the International Ski Federation (FIS) over charges that she had participated in manipulating the races that qualified her to ski for Thailand in the 2014 Winter Olympics in Sochi. According to the BBC, "FIS admitted that the musician and her entourage 'did not in any way fix, contrive or improperly influence the result, progress, conduct or any other aspect' of qualifying races in Slovenia." She has said she will donate her settlement to charity. Mae, competing under the name Vanessa Vanakorn, represented her native Thailand in both runs of the Women's Giant Slalom in 2014. She finished 67th, which was last. Later she was banned from the sport by the FIS, over charges that the qualifying races were rigged. In June, the Court of Arbitration for Sport cleared her of any wrongdoing and overturned her ban. The Court also ruled that, though she was not to blame, the last-minute qualifying races were fixed, and five officials were banned. The International Olympic Committee, which had considered annulling her results, decided not to do so after she was cleared. Mae, 37, said she intends to continue skiing and work toward qualifying for the 2018 Winter Olympics in Pheongchang, South Korea.